When you need a criminal defense attorney to represent you in court, you should look beyond a flashy name and years of experience. At jD LAW, P.C., we do more than just provide you with protection; we fight for your case. As a San Diego criminal defense lawyer, Attorney James N. Dicks has represented clients from Vista to North County. Over the years, he has been successful in a wide range of complex cases, earning respect from both judges and prosecutors. 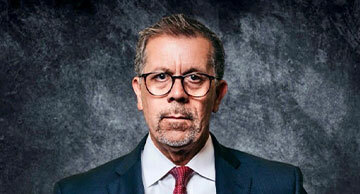 With more than 30 years of legal experience, Attorney James N. Dicks has tried hundreds of criminal cases, gaining vital insight on courtroom proceedings. Always looking for ways to improve his practice, he became certified by the Board of Legal Specialization of the California State Bar. This required extensive experience, education, training and expert evaluation. As a certified criminal law specialist, Attorney James N. Dicks is equipped with the experience and knowledge to handle any case with confidence, never worrying about a tough prosecutor or biased jury. How Can a Certified Criminal Law Specialist Help? A legal specialist is backed by the California State Bar. The certification credits not only their ability, but also their discipline and commitment to improving their practice. This means the Bar believes they will effectively advise clients, protecting their rights and freedoms, in addition to offering aggressive defense through every stage of the case. To receive this certification, a lawyer must be willing to work beyond their basic training and continually strive to better themselves as a legal professional. Becoming a certified specialist takes more than just knowledge or education. An attorney must be skilled, with the ability to stand up to even the most experienced judges and lawyers. When an attorney becomes a "specialist," they do much more than just focus on a specific area of law. By fulfilling all of these requirements, Attorney Dicks has become a Certified Criminal Law Specialist. When he represents a client, they can trust that he will do everything he can to secure the results they deserve. He has the knowledge and legal understanding to handle virtually any type of criminal case. If you are looking for a well-trained and talented criminal defense lawyer to represent you, contact our firm today. We will be happy to discuss your case an initial consultation.